With the new iPhone 7 launch this week in San Fransisco, we thought we might write a bit of a fact file or review if you will, of the new features we can expect to see on the new tech. *Disclaimer* all opinions are our own! So if you’ve had your head in the sand, the main feature you would have been most likely to pick up on is the fact that Apple have scrapped the headphone jack port. Yes, there is room for it, but no, they’ve decided to not utilise the space. 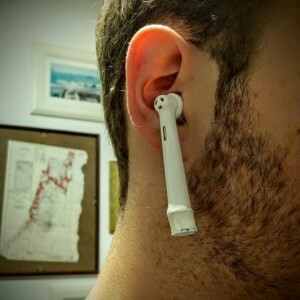 This has had nerds and tech fans in uproar (well not really but some nerds feel passionate about listening to their music through their own headphones, and not being forced to buy the new AirPods that complement the new iPhone). So these AirPods also cost a pretty penny and are not sold with the iPhone. They work via a Bluetooth chip which is more powerful than the traditional Bluetooth connection and also more power-efficient so as not to drain the battery as fast. 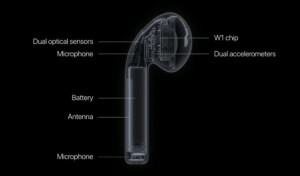 They also have a double tap feature to activate Siri and work as a hands free device for answering calls. The camera is another funky feature, this time labelled as a ‘dual camera’. This means it has two 12megapixel sensors that will be used for zoom and light-field applications. 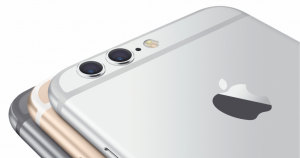 However, this will only be available in the iPhone 7 Plus variety, not the regular iPhone 7. So you get what you pay for really, the iPhone 7 Plus spec is slightly more advanced. 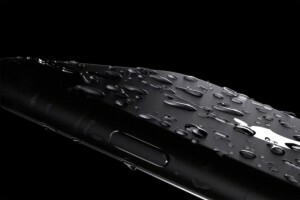 Thankfully, both these new phones are water resistant, surviving depths of 3.3feet for 30 minutes! Perfect if you’re a little clumsy and have a tendency to drop your phone in the washing up or down the toilet! The storage capacity is also an improvement on previous iPhones, starting at 32GB and also available in 128GB and 256GB models. The last big question is when can you get your hands on one? It will be available in all major shops from Friday, September 16, although pre-orders have already started. The Brainstorm jury is still out on the matter; we’re going to have to experience it for ourselves before we can give a proper opinion! Those AirPods might take some getting used to!